3.1 Meier’s “Extraterrestrial” contacts & Why go public now? After Kalliope left Meier and his community, Meier reportedly forbade her to give any information concerning the background of his “extraterrestrial experiences” to the Swiss writer, publicist, and journalist, Luc Bürgin.13 She of course, defied his orders and gave interviews (rough translations below) to Luc Bürgin, and also to author and researcher Kal Korff and UFO researcher, Hans-Werner Peiniger. Our sincere thanks to Hans-Werner Peiniger, President of GEP (Gesellschaft zur Erforschung des UFO-Phänomens/Society for the investigation of the UFO phenomenon) for sharing articles on Meier case from GEP’s in-house journal JUFOF (Journal für UFO-Forschung/Journal for UFO Investigation). Likewise, our sincere thanks also extends to the author Luc Bürgin and Waltraud Neher, Executive Assistant at Kopp Verlag (German non-fiction publisher), for sharing their UFO-Kurier articles. Following is a summary of the information conveyed (or implied) by Kalliope during her interviews, distinguished by topics. Meier’s “Extraterrestrial” contacts & Why go public now? Kalliope claims that before her separation from Meier in the mid-90’s, even though she had some doubts since the mid-70’s about her husband’s contacts with extraterrestrials, she, like the rest of the FIGU members were caught in a belief system that made them to never question Meier but to blindly trust him. Then in 1995 after noticing the striking similarity between a part of the Meier’s “wedding-cake” UFO (WCUFO) with that of a trash can lid, Kalliope was forced to rethink all her earlier “extraterrestrial” experiences and events all over again. She then finally came to the realization that her husband’s contacts are purely fictional, to which she unwittingly served as an accomplice by “lying” to hundreds of people on behalf of Meier for 20 years. So, right after leaving Meier, she finally decided to go public with her claims of Meier perpetuating a grand hoax and thereby deceiving people. Kalliope recovered several partially burnt, scorched negatives of images of a miniature beamship model from the dustbin in Meier’s office. Meier’s alleged ET contacts often occured at night, and he always stayed away from the witnesses during this entire period. But, he was always present during the events like the recording of the alleged beamship sounds and the sightings of light(s)-in-the-sky at night, where no beamships or Plejaren extraterrestrials appear. Similarity of part of a WCUFO to a garbage can lid and the excuse (Contact Report 254, November 28, 1995) that was provided only after 15 years in 1995, and that too after she questioned Meier first. Kalliope claims that Meier had lot of opportunities for fabricating his beamship photos and videos. According to her, Meier often without any intimation suddenly leaves and spends days or weeks away from home. And whenever he returns, he always comes back with new photos and videos. Even though she only has a partial idea on Meier’s method of fabricating UFO pictures and videos, she is certain that they all are fakes. Additionally, she revealed a few interesting things regarding the photos, exposing his ex-husband, Meier’s modus operandi. Some of Billy’s motherships (Light/Energy ships) that allegedly came from the Andromeda region (Contact Report 123, 1979) are obviously house lanterns (see the recreations done by ex-FIGU CG members) which he snapped with an open aperture (multiple exposure). For other pictures like the WCUFO, he used simple garbage can lids to which he attached additional items. He seems to have even used toy tops found in their yard at that time for his trickery. The “alien” woman, Alena, who appeared in Meier’s photos (with face hidden) wearing a gold-colored suit and posing with an “alien” ray gun in her right hand is actually Ms. G. (name withheld by Kalliope), Meier’s follower who originally came to seek his help for her dire psychological problems; wearing a gold-colored tanning-foil that could be purchased at any time in any major Swiss department store. Kalliope also claims that Meier made those pictures only after all of the farm-inhabitants were told to leave the area for some time, which is exactly the same time when she spotted Ms. G., with her hair strikingly similar to the the “alien” woman, around the farm. After taking photos of Ms. G., Meier, as a precautionary measure to not get caught, supposedly prohibited her from visiting the farm again. Meier’s claim that outsiders (ex: MIB, CIA,…) have stolen his original negatives from his office is illogical according to Kalliope. She states that Meier’s workrooms are always locked. Besides, the photo material that was in the possession of Kalliope, for as long as a whole year, was never lost. And most strangely, Kalliope notes, the photos only started “disappearing” as soon as the signs of manipulation or fraud had been pointed out by skeptics and others. One example of this is the “disappearance” of Meier’s San Francisco photos that were supposedly photographed by Meier during his time travel trip into the future. As soon as it was revealed that Meier’s pictures were identical to the painted illustrations made by the artist Ludek Pesek and published in BLICK newspaper one year before, those photos quickly disappeared. According to Kalliope, FIGU Core Group – the immediate group that formed around Meier proclaiming to be a free community devoted to the truth – in reality, is a blindly following group that exhibits sectarian features. 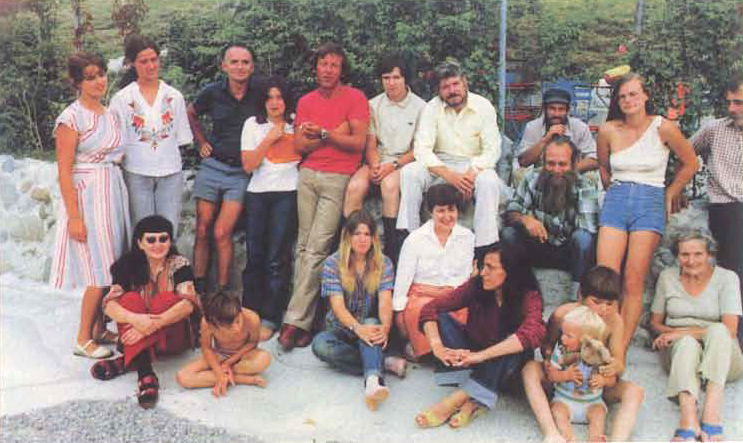 They are committed to believing in Meier, otherwise they would not have even decided to live there at the farm with him. When Meier says something is like that, it is like that. There is no debate about it. When Meier says ‘my wife stole this and that’, that is true, without discussion and everyone must believe it without criticism. If one does not believe this or stick to it, then one suddenly becomes an outsider. If he agrees with anything, the group agrees. You can’t say ‘no’. Criticism is not tolerated nor expressed. It is rather authoritarian, dictatorial and hierarchical. Meier’s expense-free life at his farm is sponsored by each FIGU member who must donate part of their income. Everything must also be financed, the mortgages, electricity etc. He can’t bear it himself and can’t live on his own, which is why he needs his followers. He doesn’t want to come out of his psychic labyrinth. Because if he wanted to get out of there, he would have to live very poorly. And regarding her claims on evidence, Meier states that the garbage can lid, which Kalliope claims he used for his WCUFO photos taken during 1980-82, can demonstrably be shown to have been purchased only since 1986. Additionally, he cites excerpts from Contact Report 254 (November 28, 1995) where Ptaah provides reasons for the “extremely weird coincidence” of Meier’s WCUFO part being strikingly similar to a garbage can lid. Overall, isn’t it curious that Meier always had very bad things to say about his (former) group including the members of his family, only when they begin to question or disavow him and his group? In 1966 Meier married a young Greek girl, Kalliope Zafiriou, whom he had met and fallen in love with on one of his world travels. The young woman found it difficult to feel at home in her unfamiliar Swiss surroundings. In 1975, when Meier revealed to the public that he was having contacts, her ordeal began that was to last 20 years: The ridicule by her neighbors in this rural region who had already been suspiciously eyeing this “exotic” female, the onslaught of curious visitors who, when they could not gain access to Meier himself, then expected answers to all mysteries of the universe at least from this totally overtaxed Greek woman—and all the while she was simply playing “second fiddle,” a mere shadow figure beside her suddenly world famous husband who had captured everyone’s interest. Against her will she was thrown into the public limelight, and yet she remained a mere appendage of her husband, about whose experiences everyone wanted to hear. And Meier was like a man possessed. He worked day and night in order to transcribe, with his one intact arm, his reports about the contact conversations and the extraterrestrial revelations. 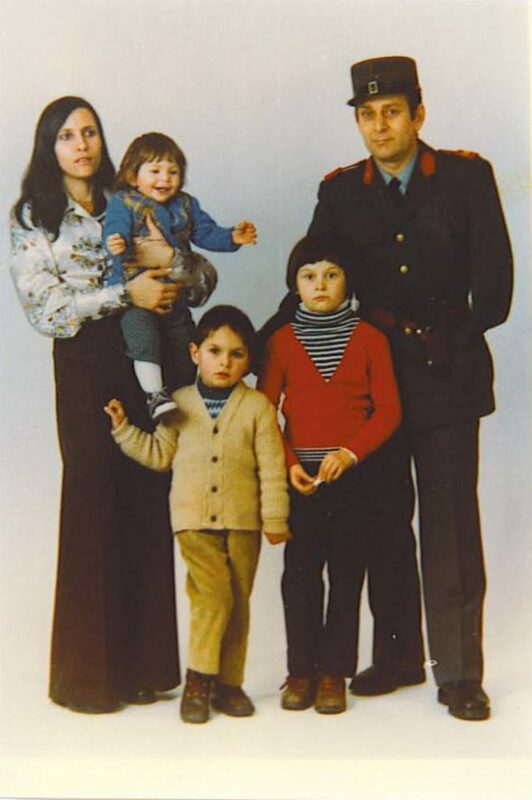 During the night he would attend his contacts from which he returned early in the morning, completely exhausted and then unable to work; some supporters invited him to settle into a rural community, where he has lived now since 1978/79 in a form of countryside commune called the “Semjase-Silver-Star-Center.” Family life, privacy, and the “very normal marriage” she had hoped for no longer existed for Kalliope Meier. Everyone who was introduced to Mrs. Meier at the Semjase-Silver-Star-Center, myself included, could sense that this woman was profoundly unhappy in her role. Her facial features hardened and her love grew cold. Mrs. Meier left the rural community in March ’94, but when her jump-start into independence proved unsuccessful, she returned to the Center in November ’94. With the help of friends, Billy freed her from her debts by paying off CHF 30,000 she owed.